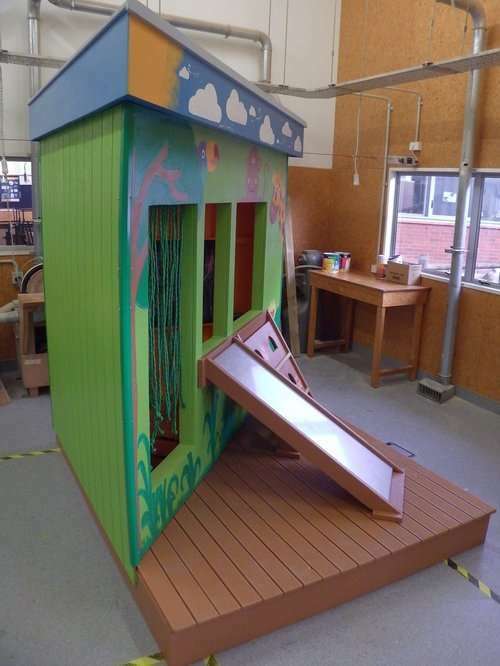 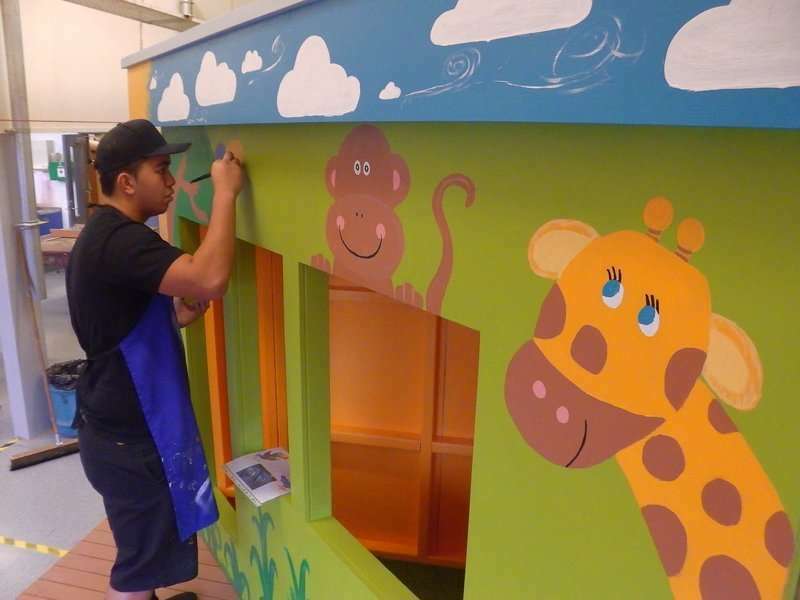 Our talented Level 3 Technology students need your votes for their awesome playhouse, built for the Build-Ability Challenge run by the construction industry training organisation (BCITO). 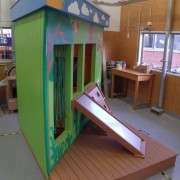 The playhouse concept was inspired from a children's book, which featured a triangular-shaped garden shed, designed to fit into a corner. 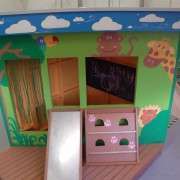 Through the process, the students have learnt about design, materials, construction and finishing. 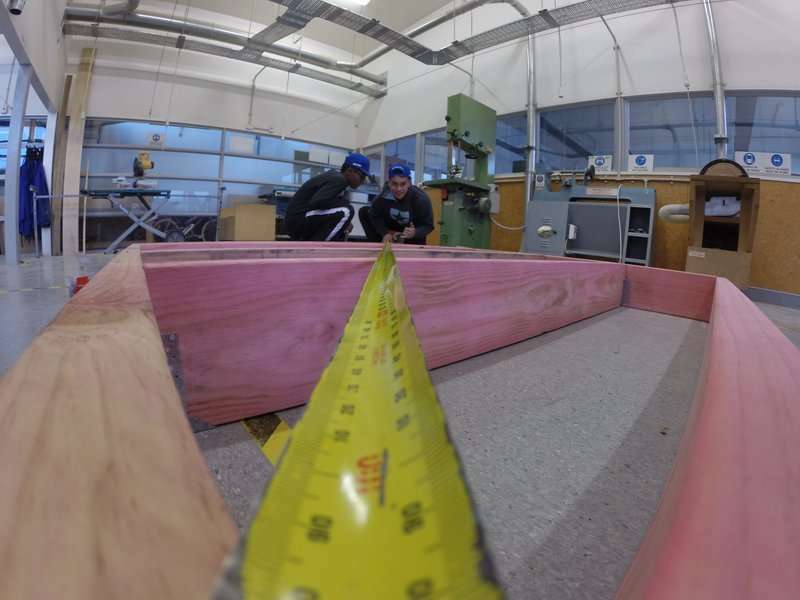 They have high hopes their design will win the challenge, and they also see it's value in promoting construction to other students. 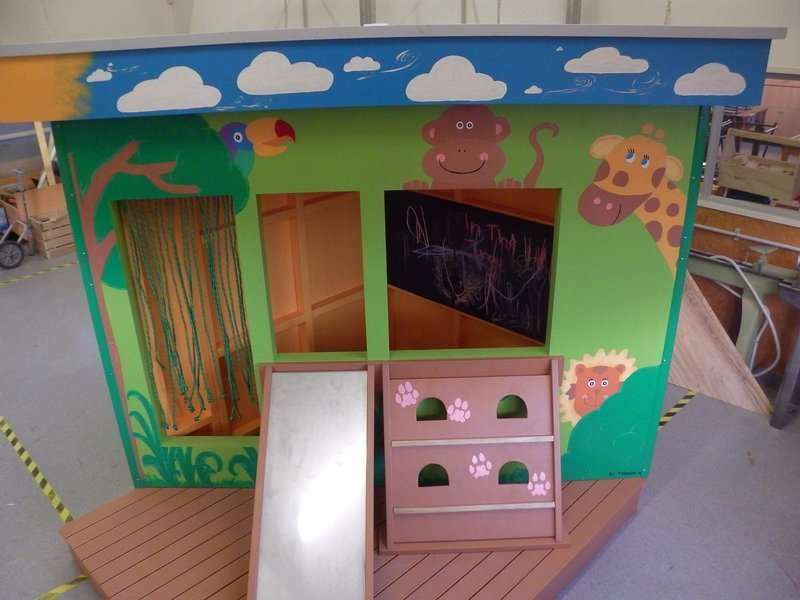 The playhouse will be on display at school for the next couple of weeks. 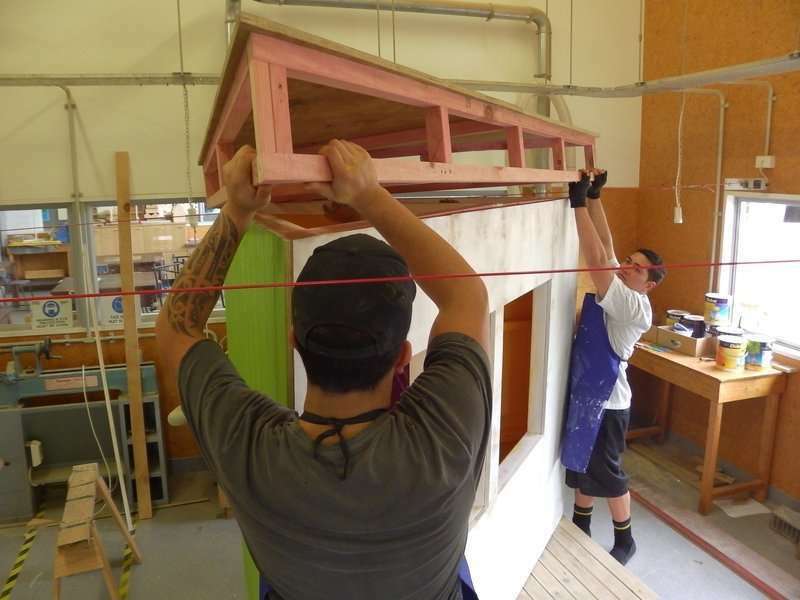 Eventually, it will be sold on Trade Me and the use of an innovative flat-pack approach to its design means the playhouse can be easily transported and assembled in its new home. 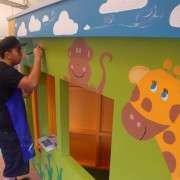 Proceeds will go to the charity, Kids Can.